An investigation into how a draft report on the Meka Whaitiri incident ended up on the front page of Thursday's New Zealand Herald has been ordered. 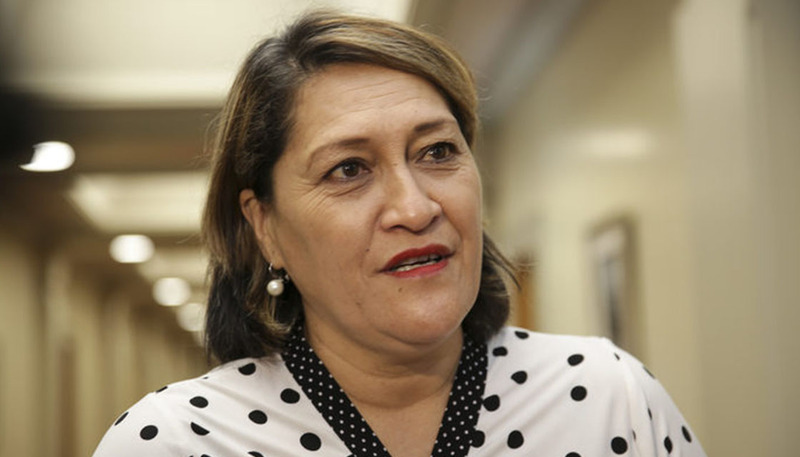 The report contains photographs showing bruising on the staff member's arm where she was allegedly grabbed by the Ikaroa-Rawhiti MP. Ms Whaitiri has denied any physical contact took place. "I'm hugely disappointed to see that it has been leaked," Prime Minister Jacinda Ardern said from New York, where she's been attending the UN General Assembly. "We were going through a process to make sure that that was being dealt with appropriately, that we were protecting the employee involved in the situation. "I'm advised by the Department of Internal Affairs that they themselves will be undertaking an investigation as to how the report came to be leaked." According to NZME, the report claims Ms Whaitiri was upset because the staff member had failed to alert her to a photo opportunity at an event with Ms Ardern in Gisborne, which is in Ms Whaitiri's Ikaroa-Rāwhiti electorate. Ms Ardern was speaking to media with several other ministers standing beside and behind her on August 27, the report claims, Ms Whaitiri missing out. The report states that according to the staff member, Ms Whaitiri grabbed her arm from behind and dragged her outside. "She grabbed me by the arm and pulled me outside and said she needed to talk to me and when we were outside she raised her voice," the staffer told the inquiry, led by lawyer David Patten. "I wouldn't say yelled, but she did raise her voice to me and asked me if I knew what I was doing in my job and did I realise I'd missed a media opportunity, and that that was embarrassing to her because it was her electorate." She said the grab was "hard and it scared the living daylights out of me". Ms Whaitiri said she didn't grab the employee, and took her outside because it was "hard to have a conversation 'cause people were talking over lunch". Three days later Ms Ardern suspended Ms Whaitiri as a minister. That same day photographs of the bruising were snapped, the report says. She told Mr Patten she hadn't thought to check whether there was bruising until then. The report states there were no witnesses to the alleged incident.